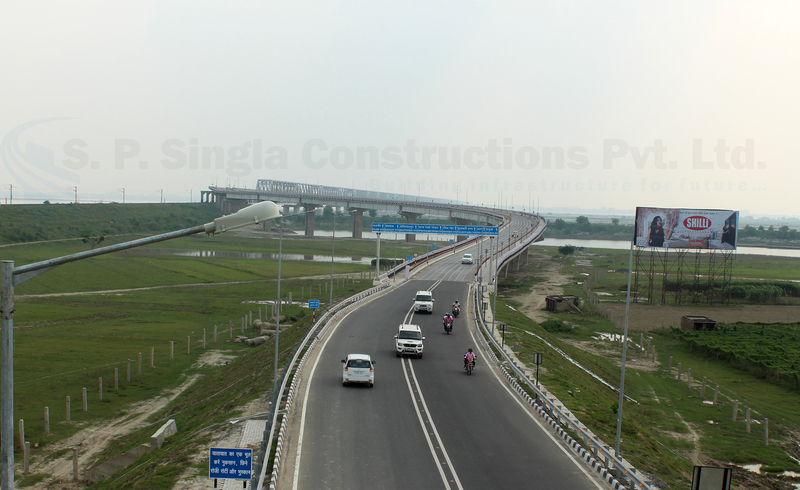 Completed Projects | Projects Categories | SP Singla Constructions Pvt. 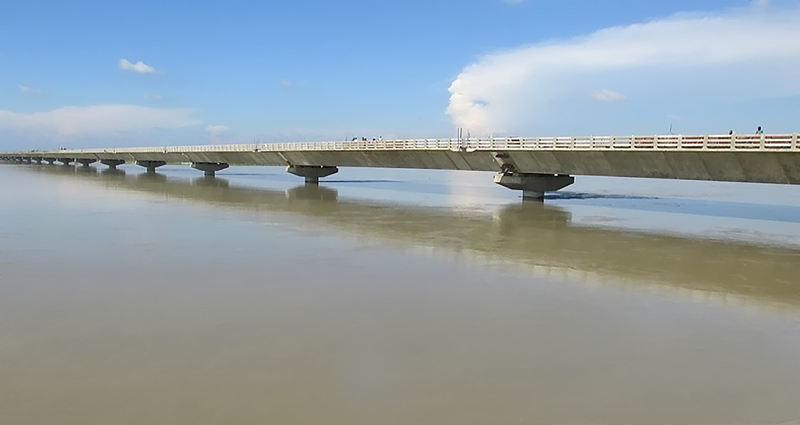 Ltd.
3.80 Km Long High Level Bridges across river Koshi in Distt. 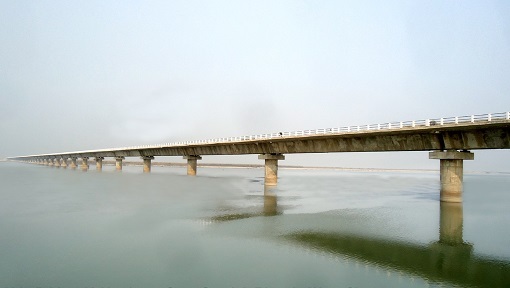 Saharsa, Bihar. 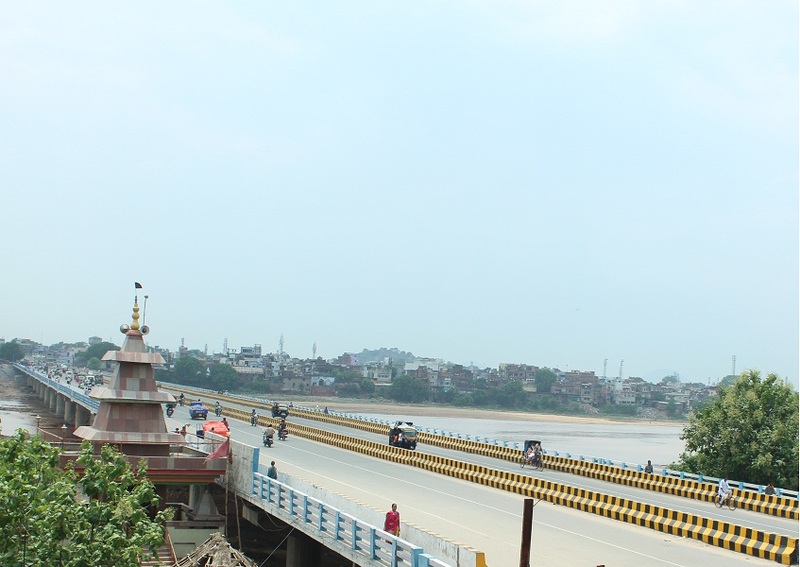 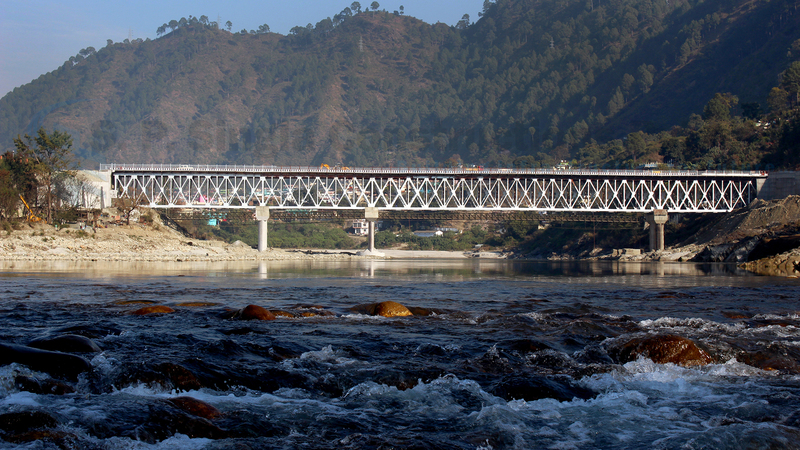 4 Lane High Level Bridge over river Tawi at Jammu, Jammu & Kashmir. 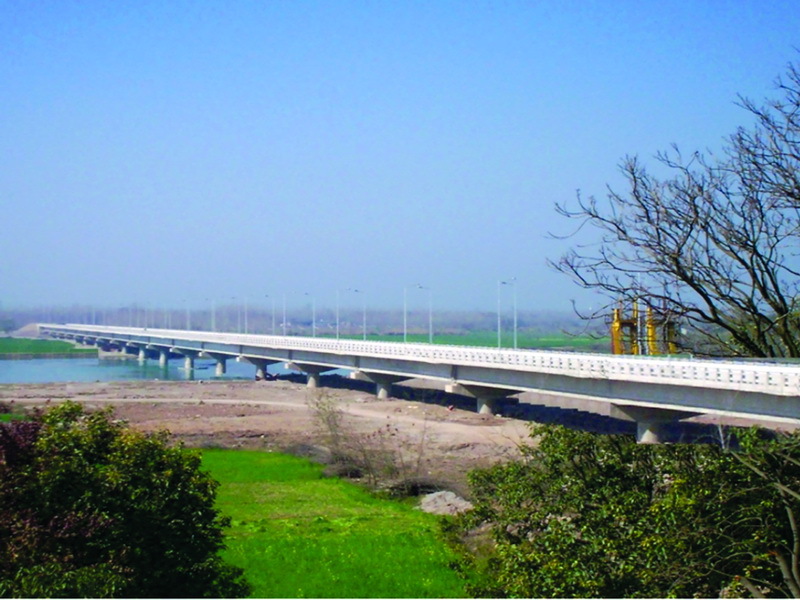 2 Lane High Level Bridge over river Satluj in Bungasahib,Sarai Ka Pattan in Ropar Dist, Punjab. 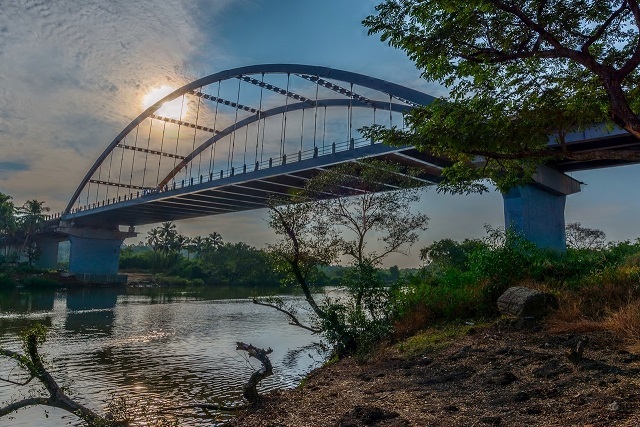 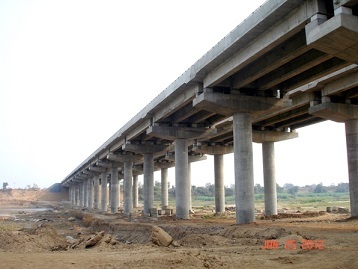 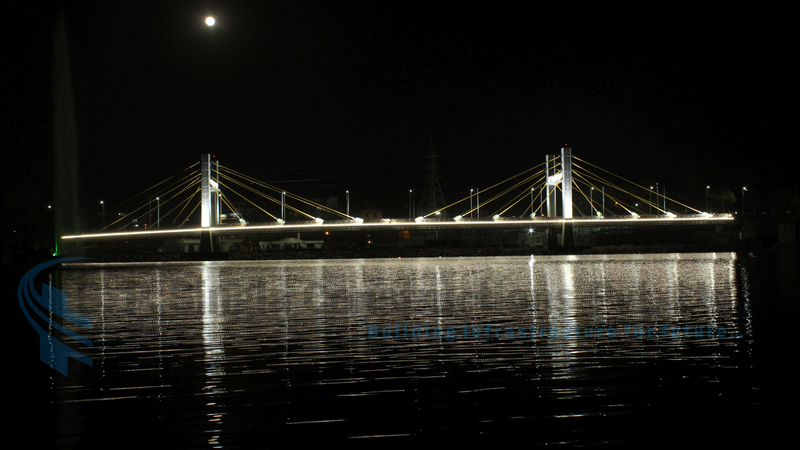 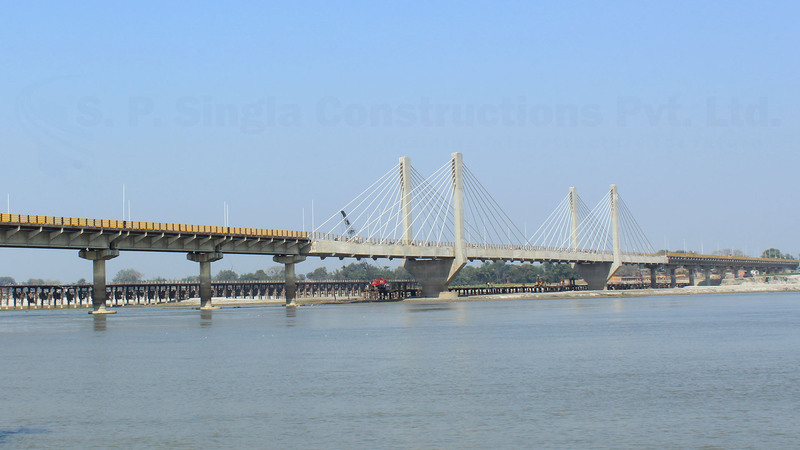 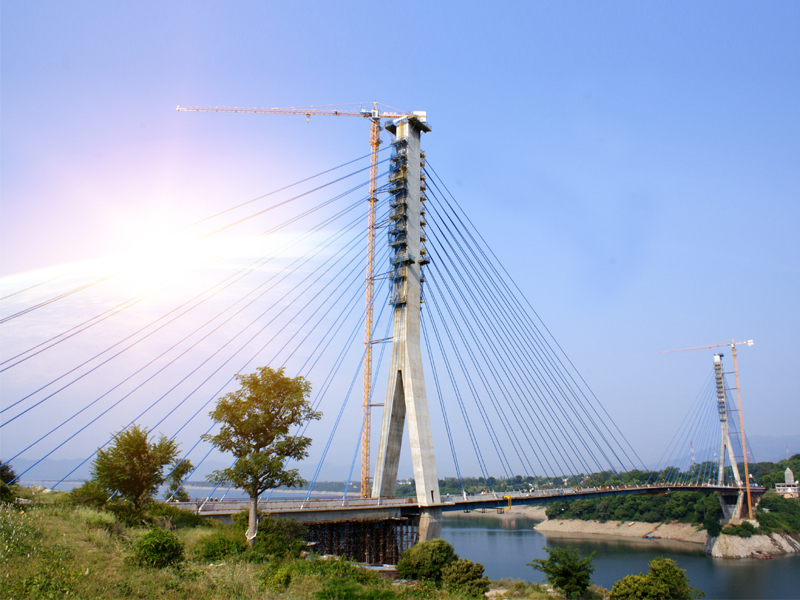 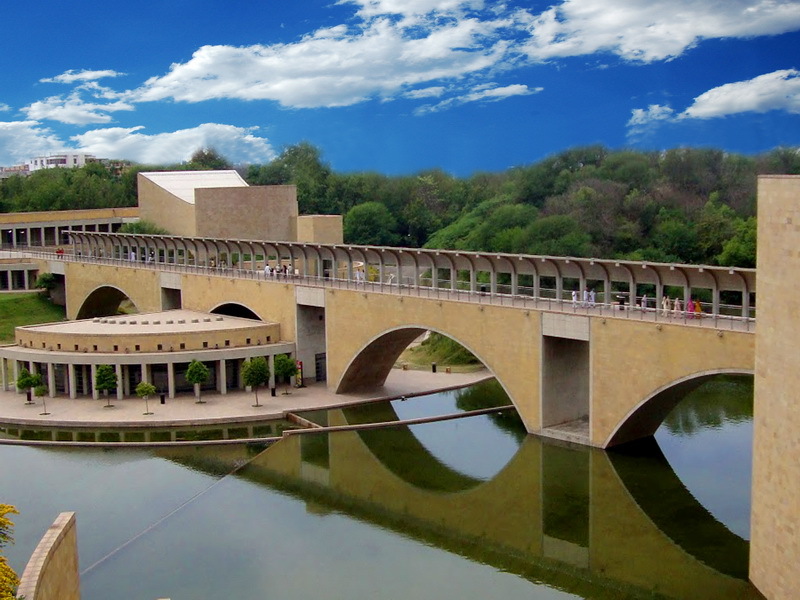 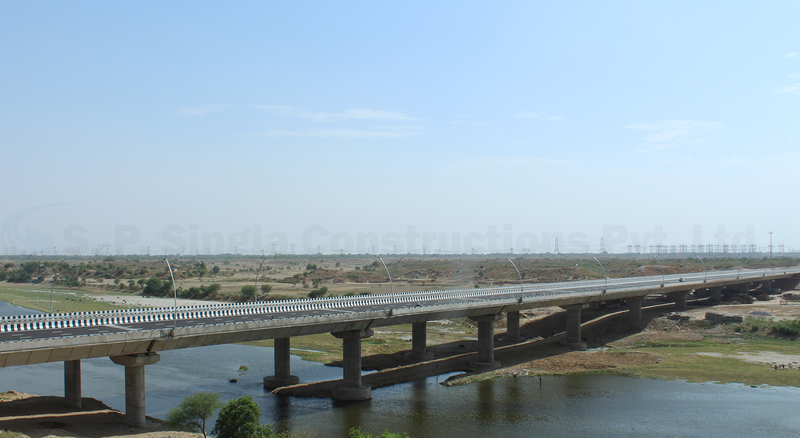 PSC Bridge with well foundation over river Kanhan in Nagpur, Maharashtra. 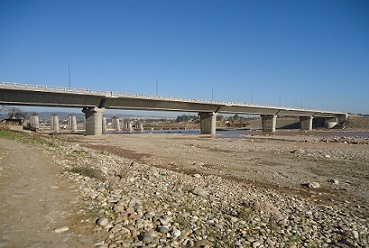 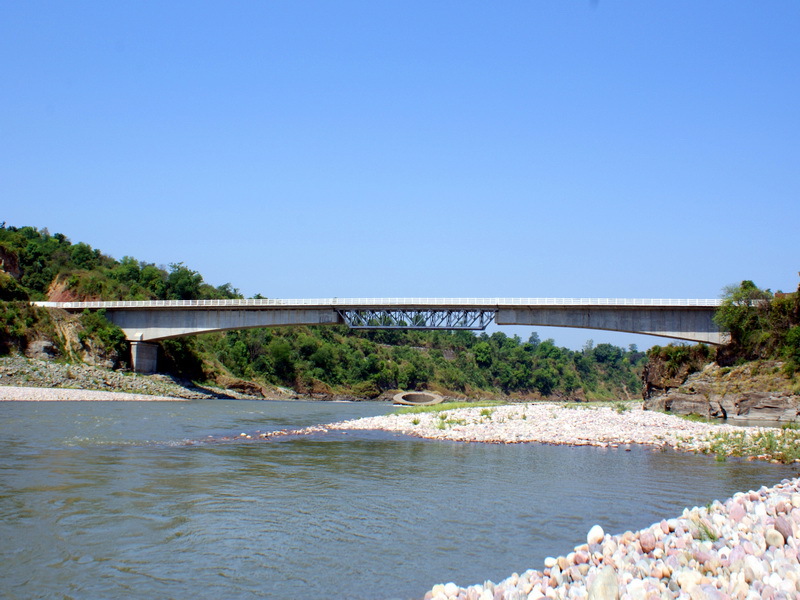 High Level R C C Bridge across river Bagmati at Pipraha Ghat in the Piprahi- Purnahia road in the district of Sheohar. 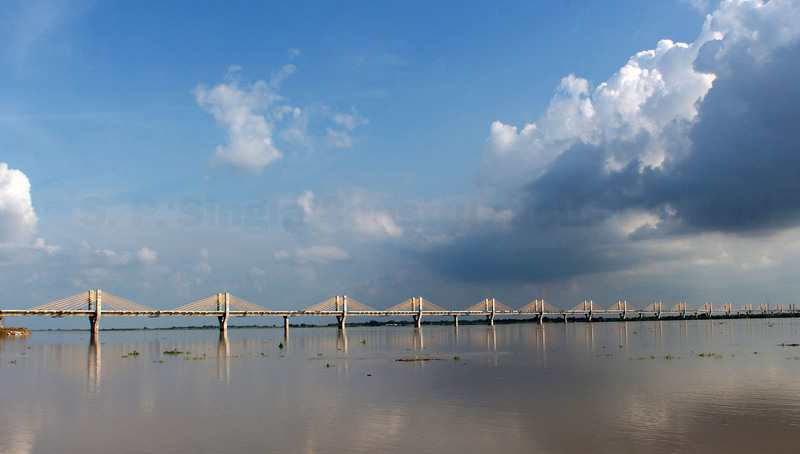 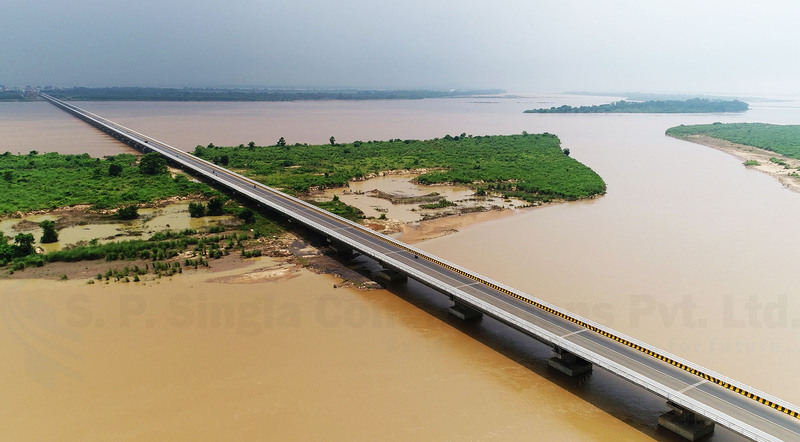 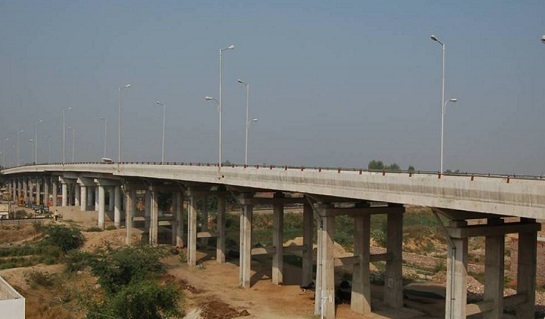 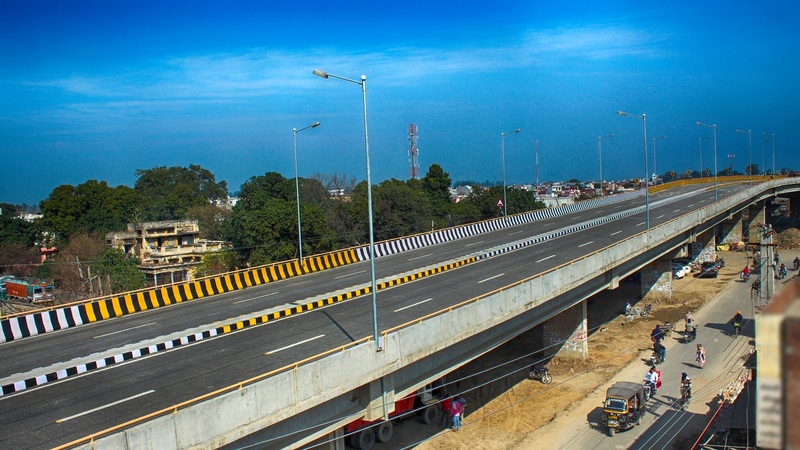 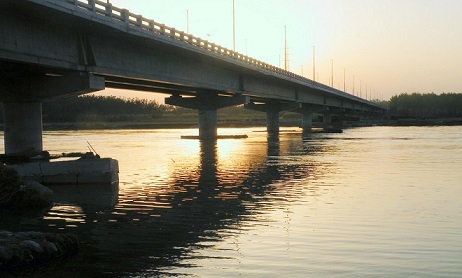 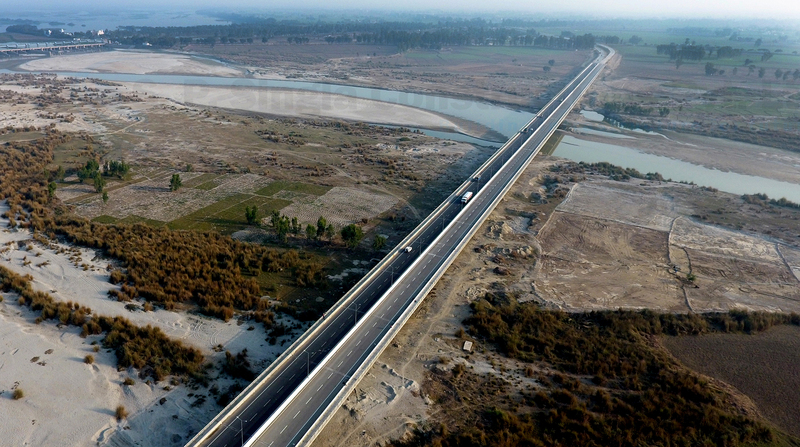 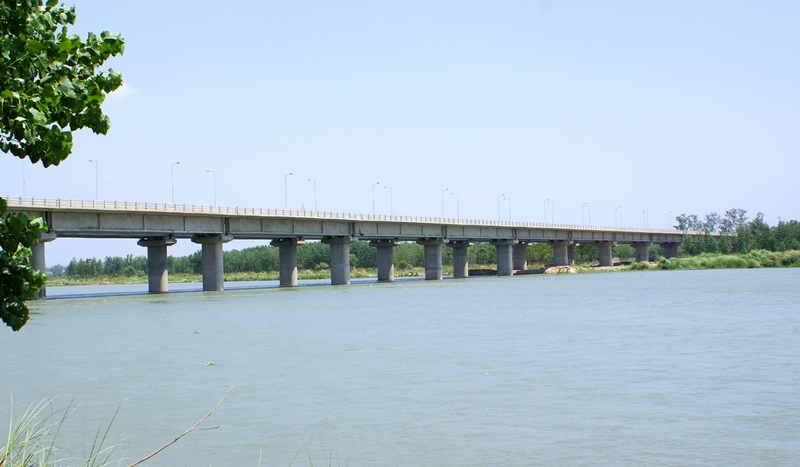 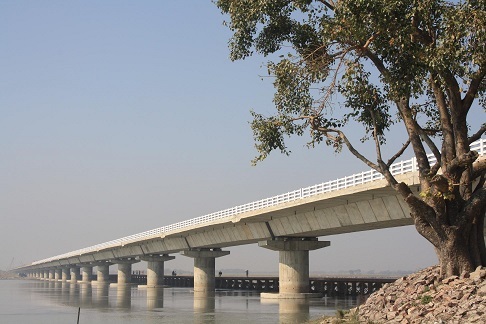 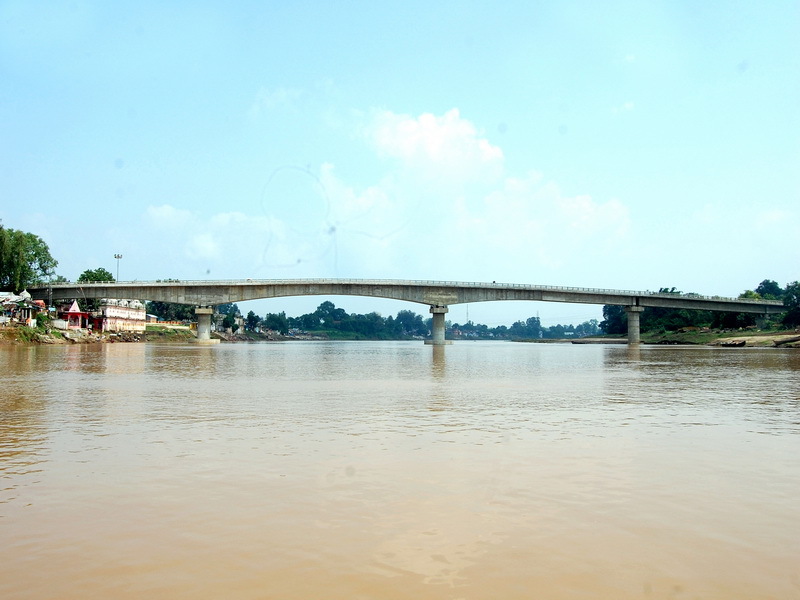 1.240 Kms Bridge over river Satluj at Ropar,Punjab. 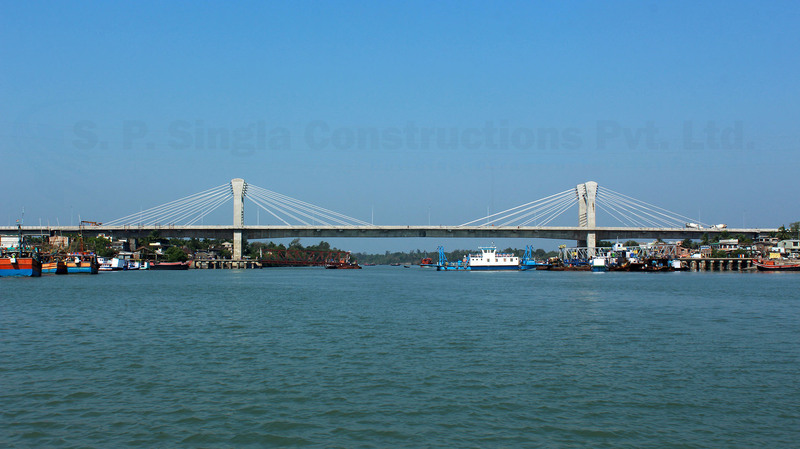 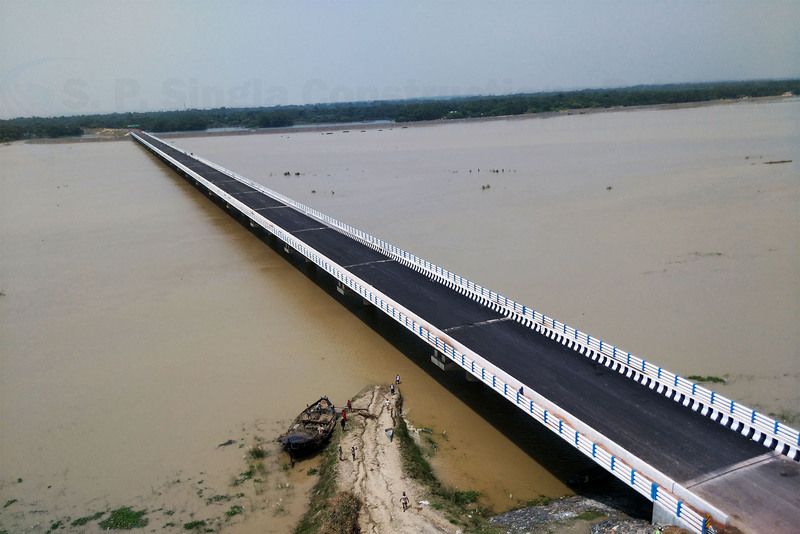 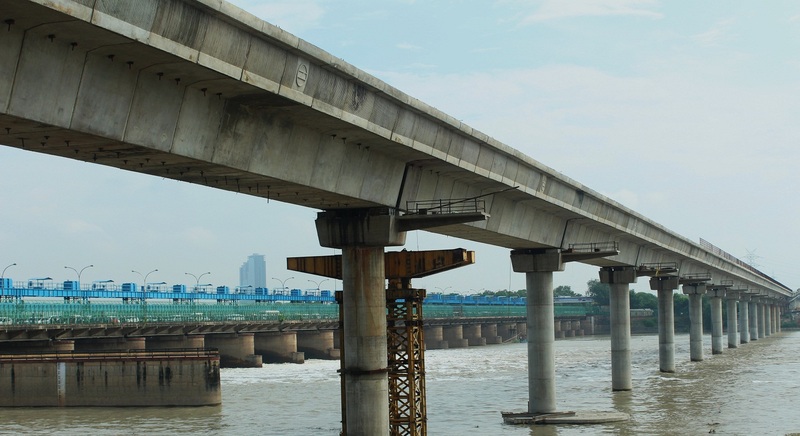 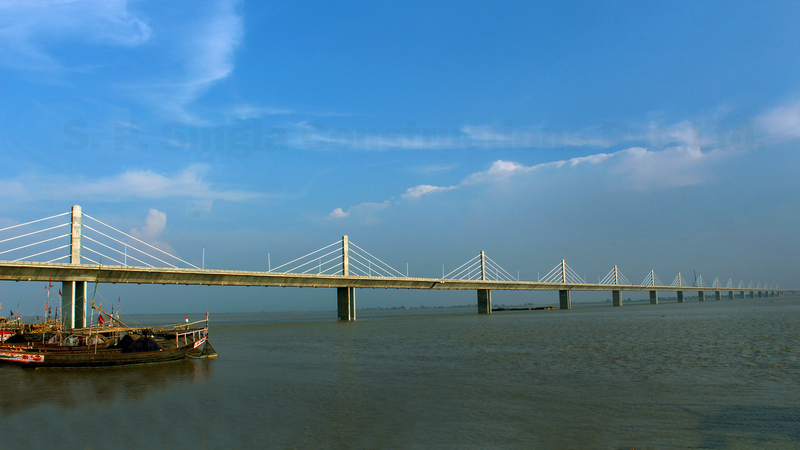 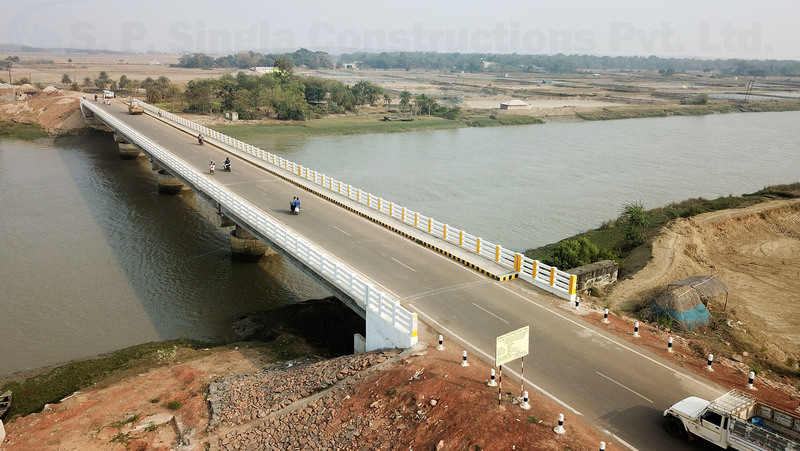 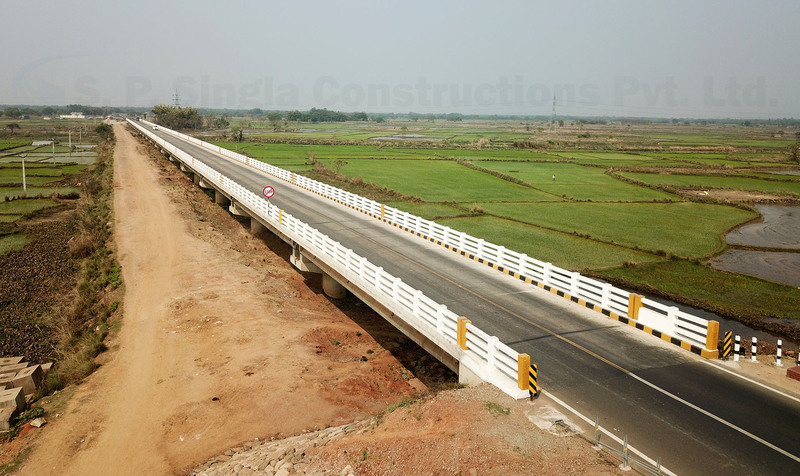 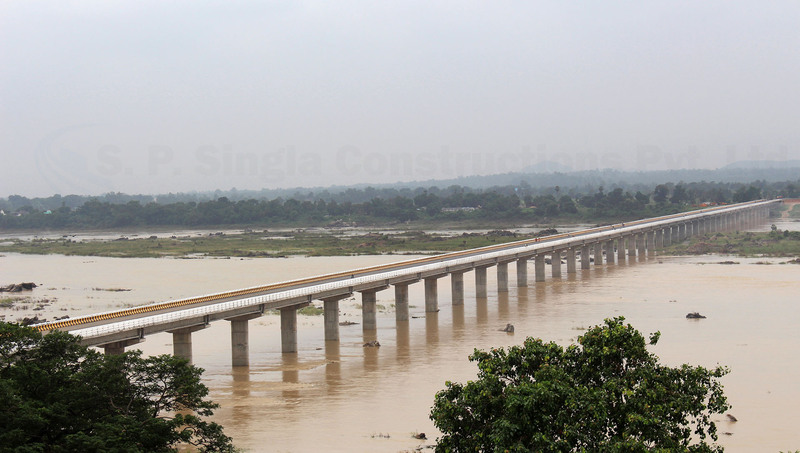 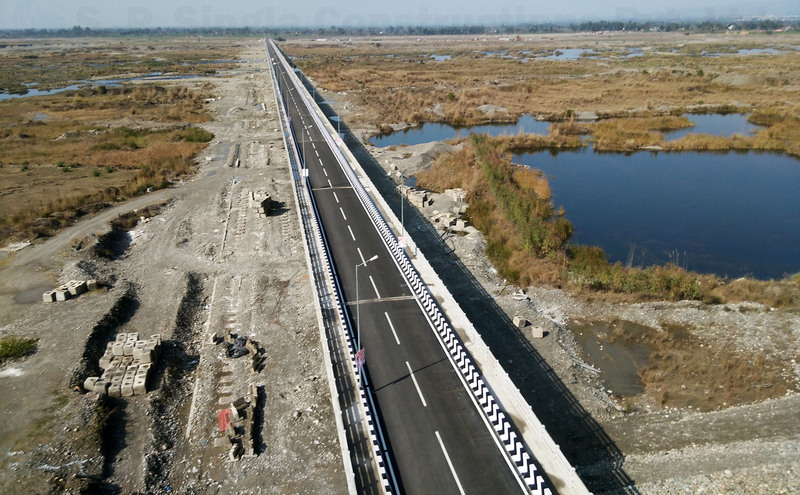 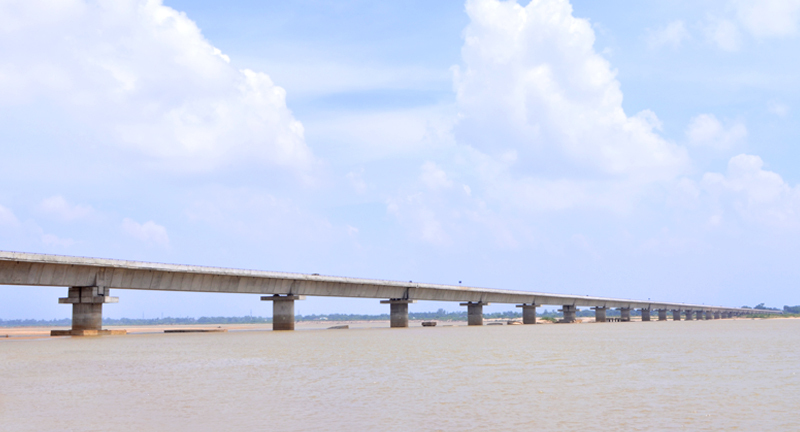 1.056 Km long Bridge project on river Fulahar at Nakatti Point in West Bengal. 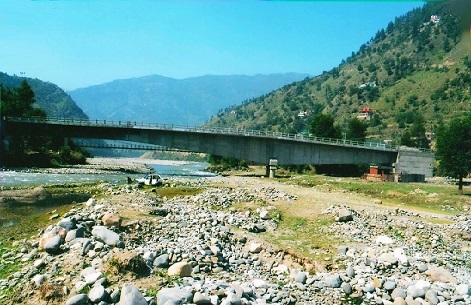 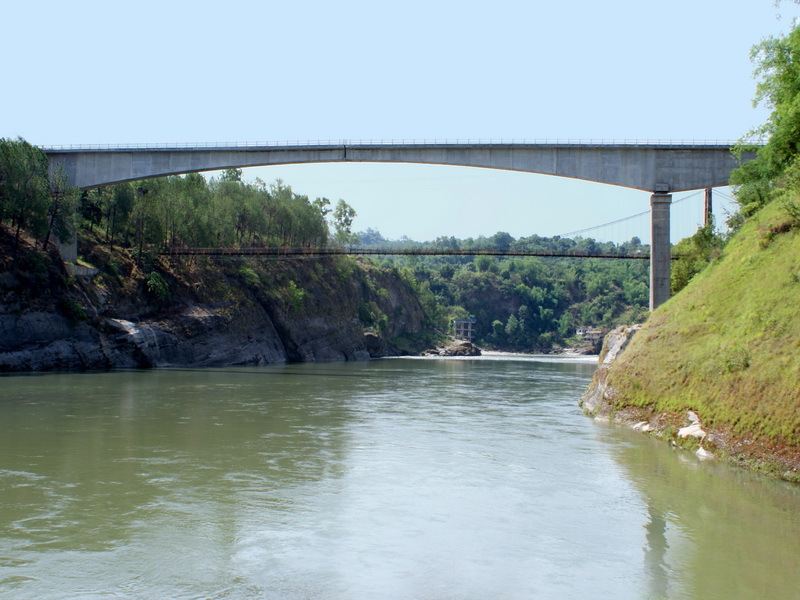 A Bridge over river Teesta in Bansoi on road Chungthang – Lachen in Sikkim. 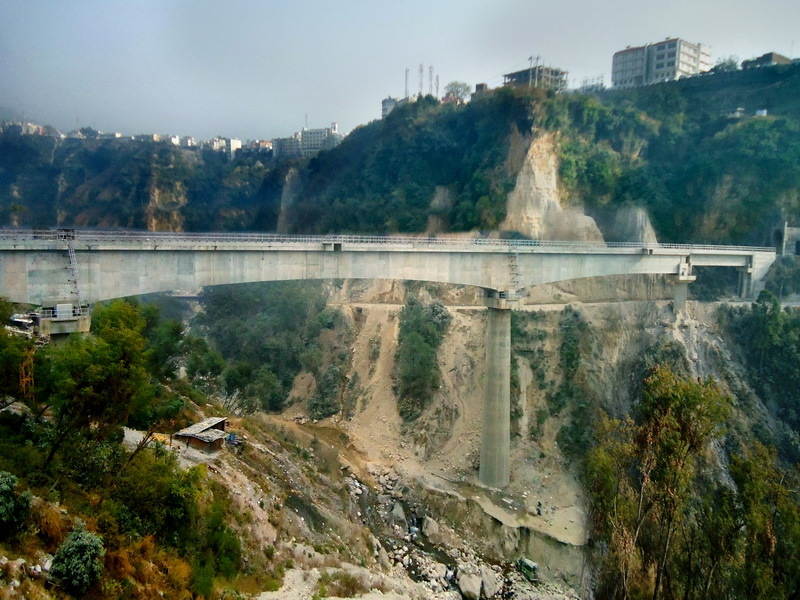 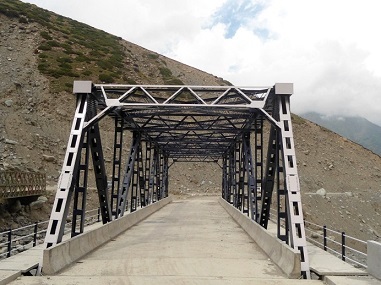 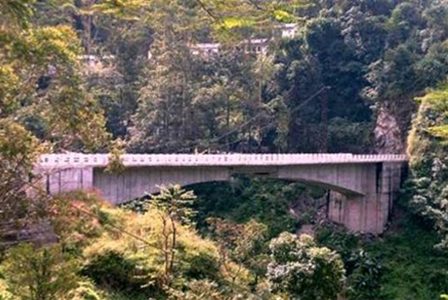 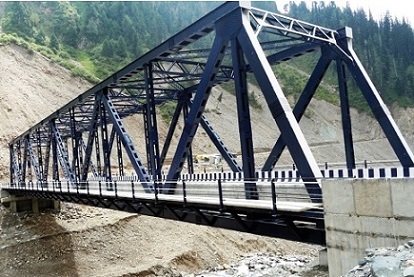 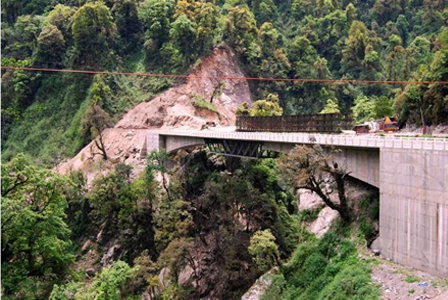 A Bridge over river Rang Rang under project Dantak in Sikkim. 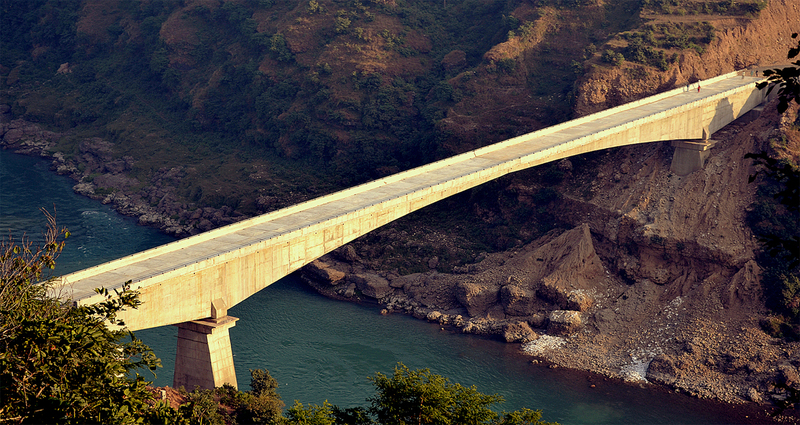 A Balanced Cantilever Bridge at Chambapattan, Himachal Pradesh. 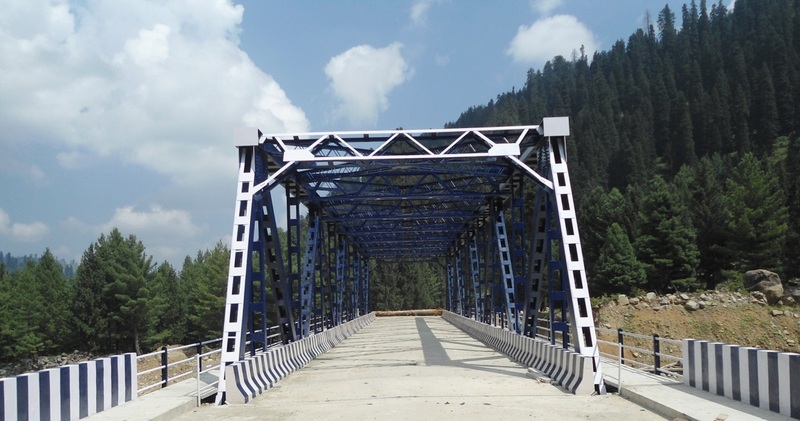 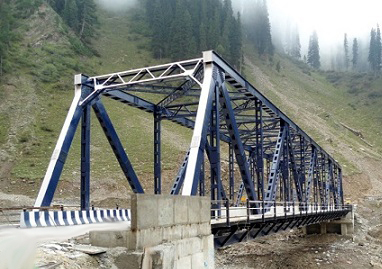 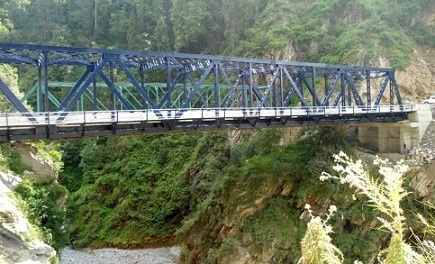 A Balance Cantilever Bridge at Rohru in Himanchal Pradesh. 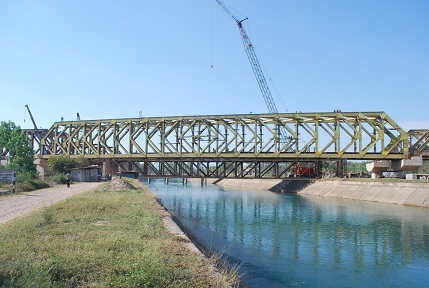 2 lane Steel Truss Bridge on Km. 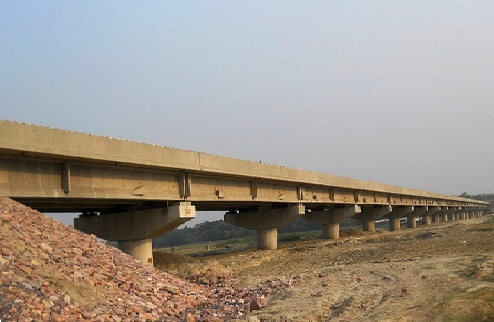 37.200, near Rangeelpur , Punjab. 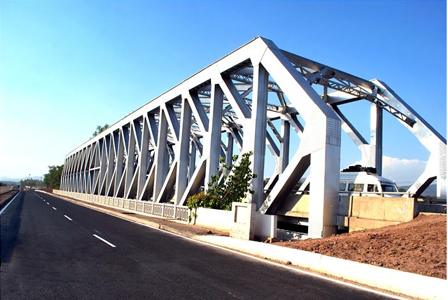 Flyover with 2 lane Steel Truss Bridge at Km. 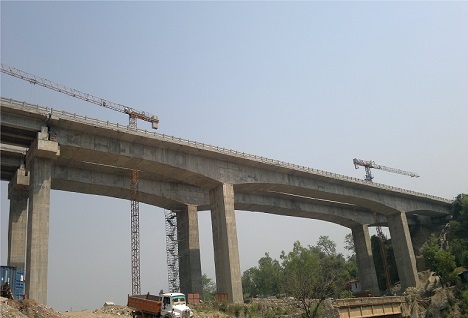 71, near Kiratpur, Punjab. 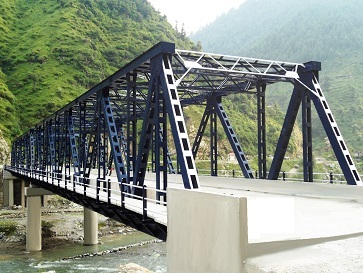 An Steel Truss Bridge at Km. 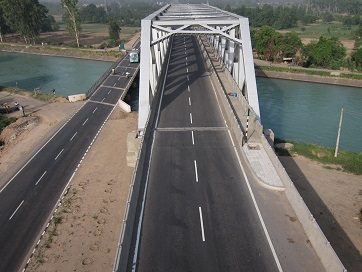 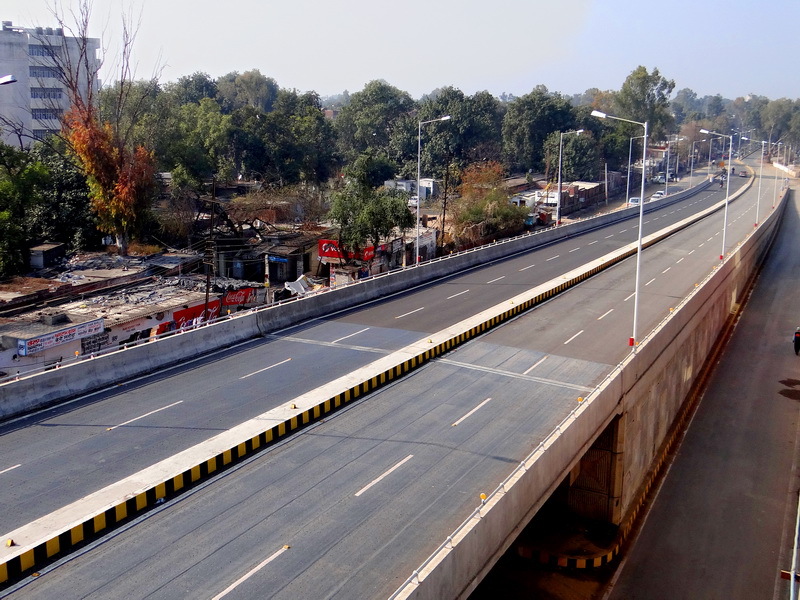 61 on NH-21, Kurali – Kiratpur Highway, Punjab. 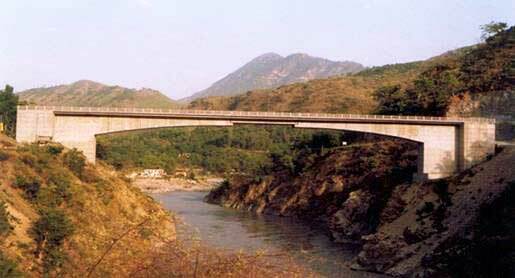 2 lane motor bridge over river Alaknanda in Pauri, Uttarakhand. 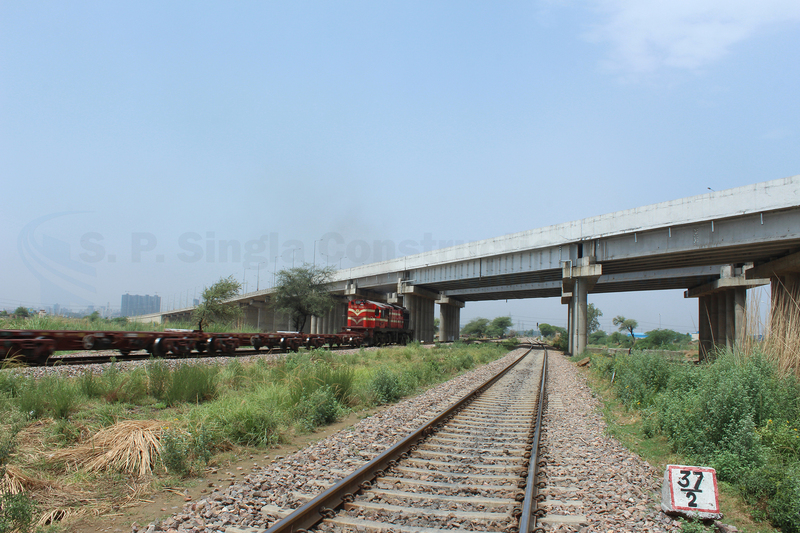 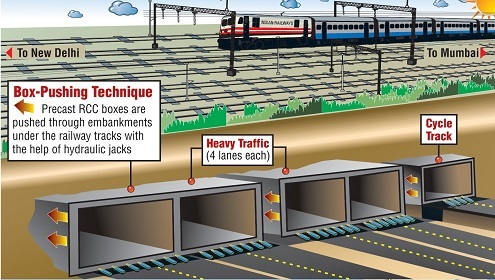 4 Lane ROB at Railway level crossing on Delhi – Ambala Railway line at Kurukshetra. 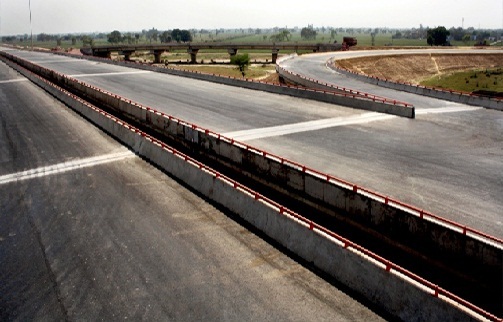 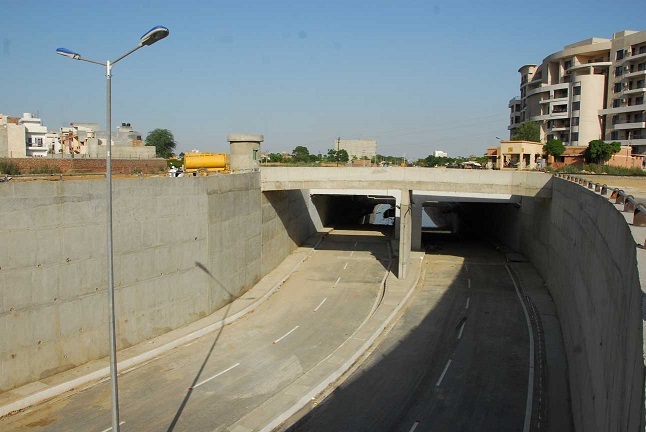 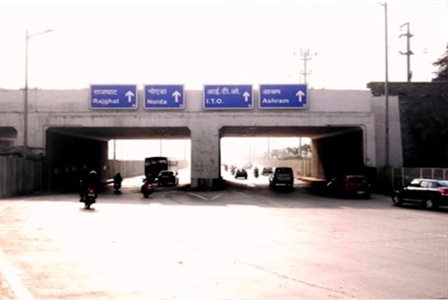 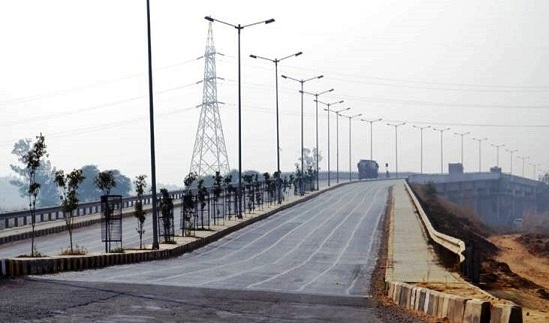 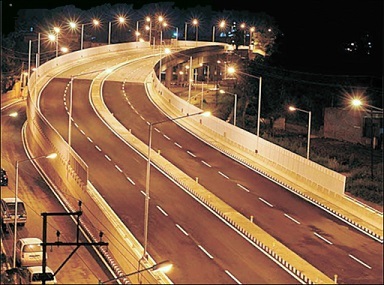 8 Lane Interchange on Yamuna Expressway near Mathura, Uttar Pradesh. 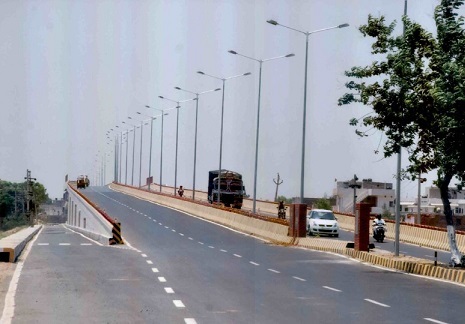 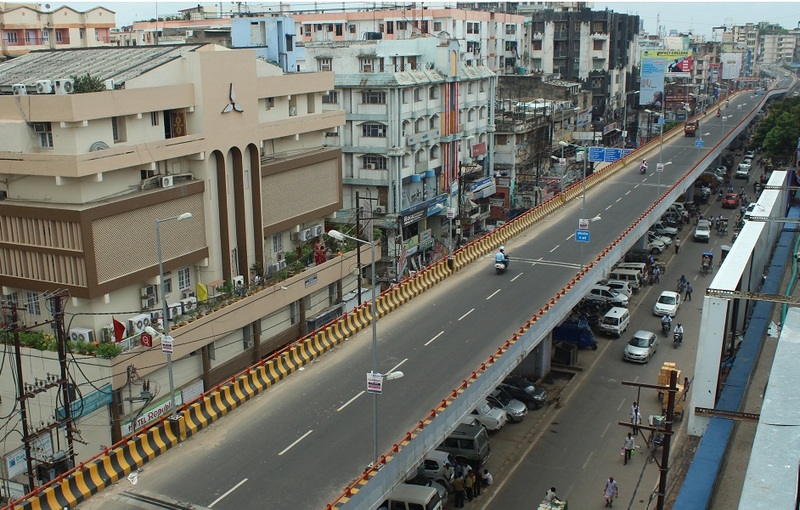 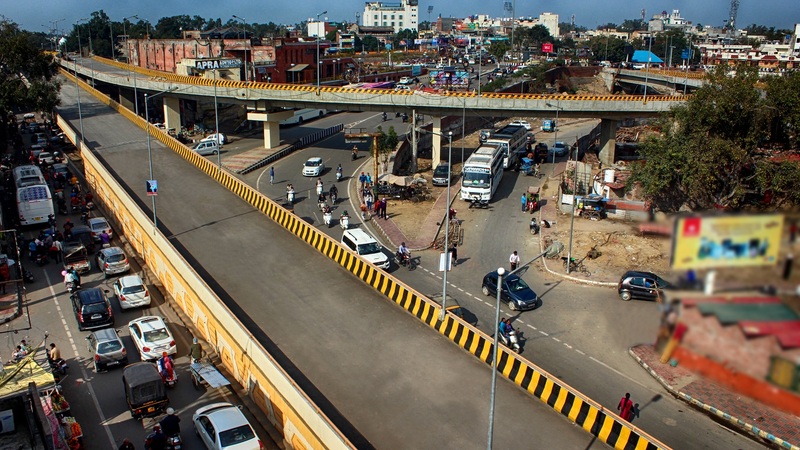 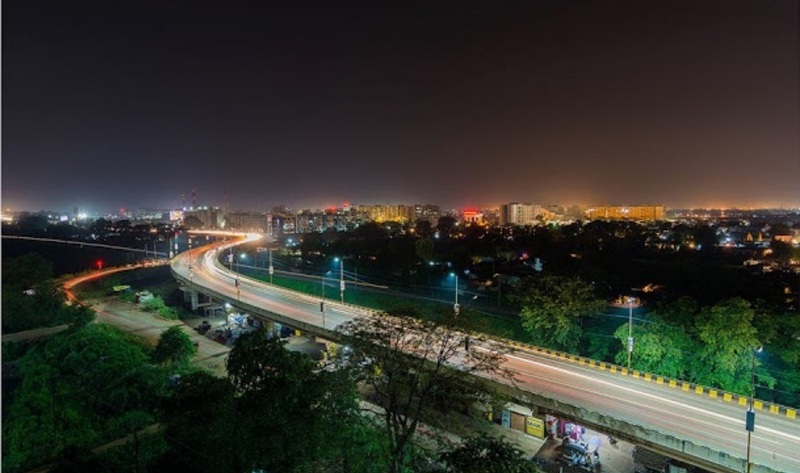 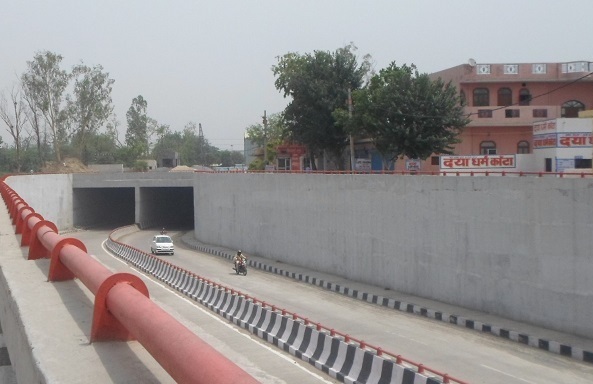 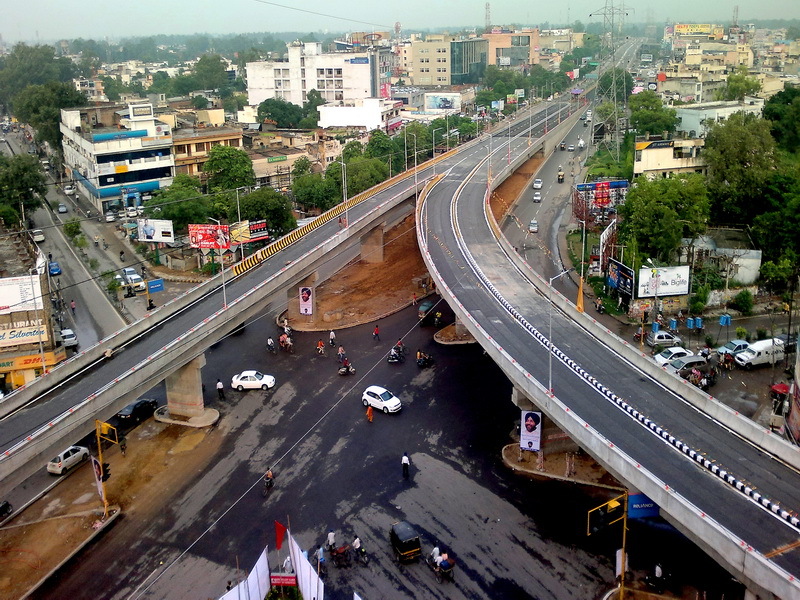 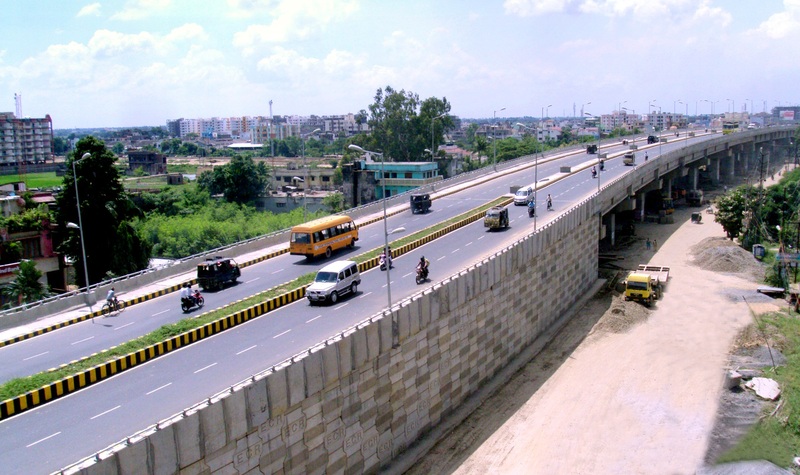 A Road over Bridge on Bailey Road at Patna, Bihar. 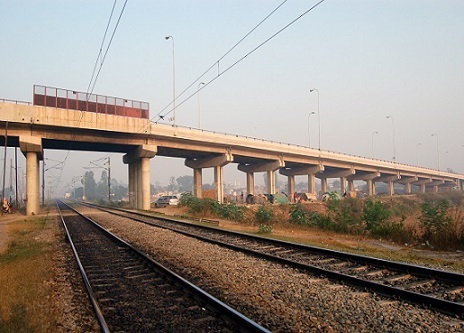 ROB near Verka Level Crossing, Amritsar. 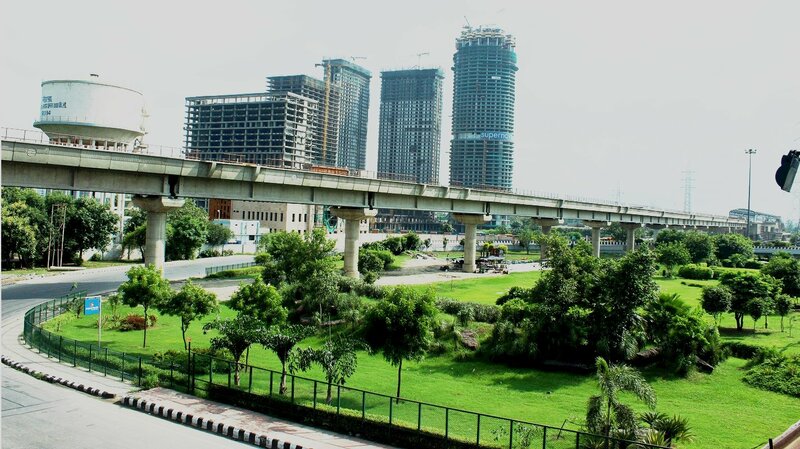 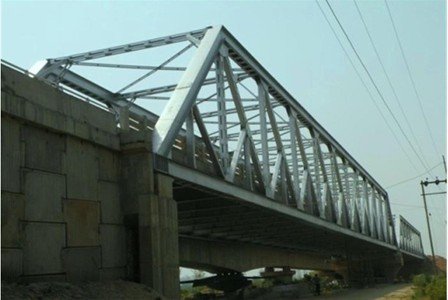 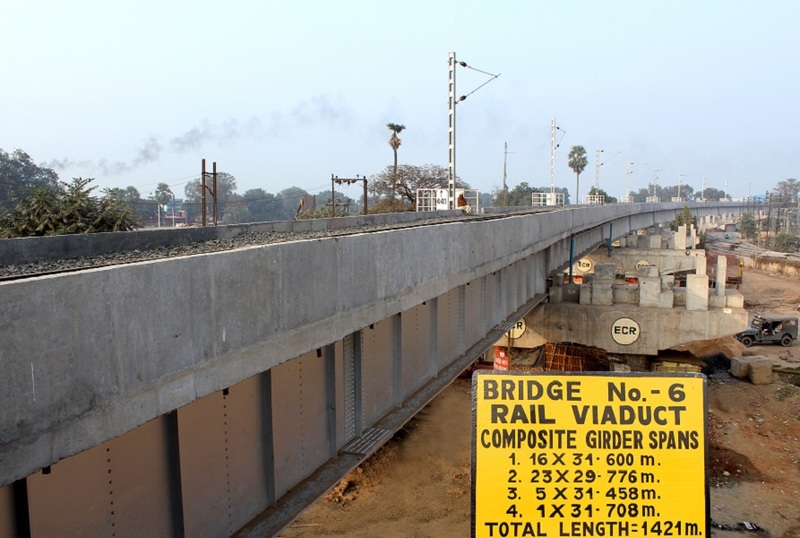 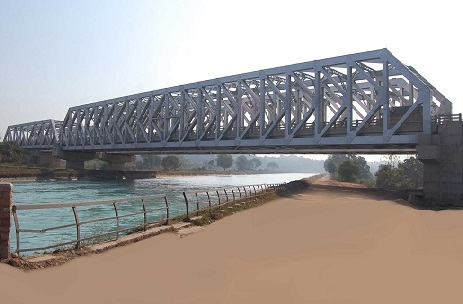 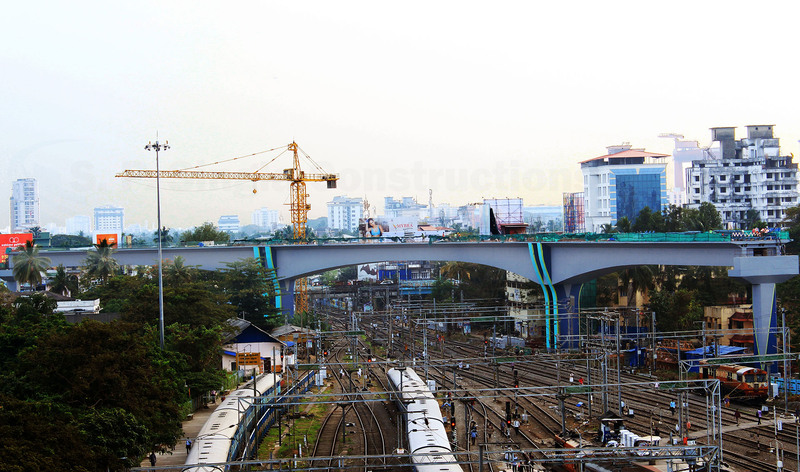 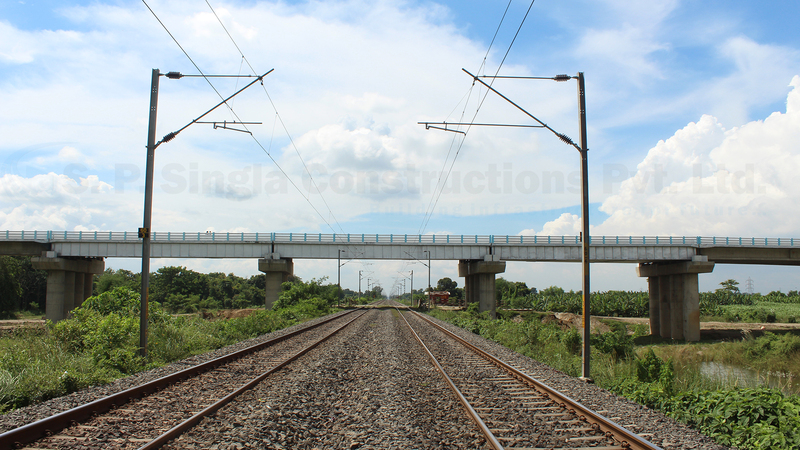 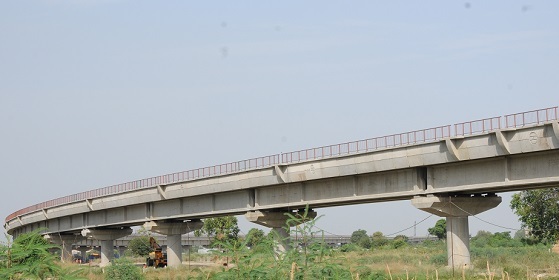 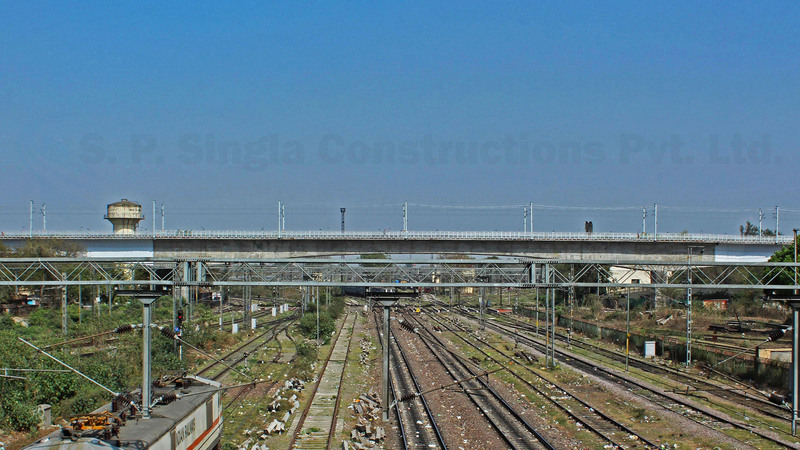 A High Level Bridge over river Yamuna at Kalindi Kunj For DMRC, New Delhi. 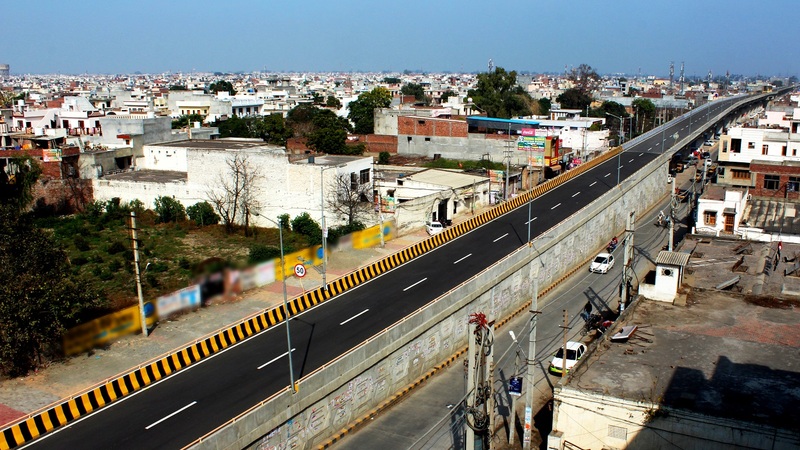 An Arch Type Pedestrian Bridge at Anantpur Sahib in Punjab. 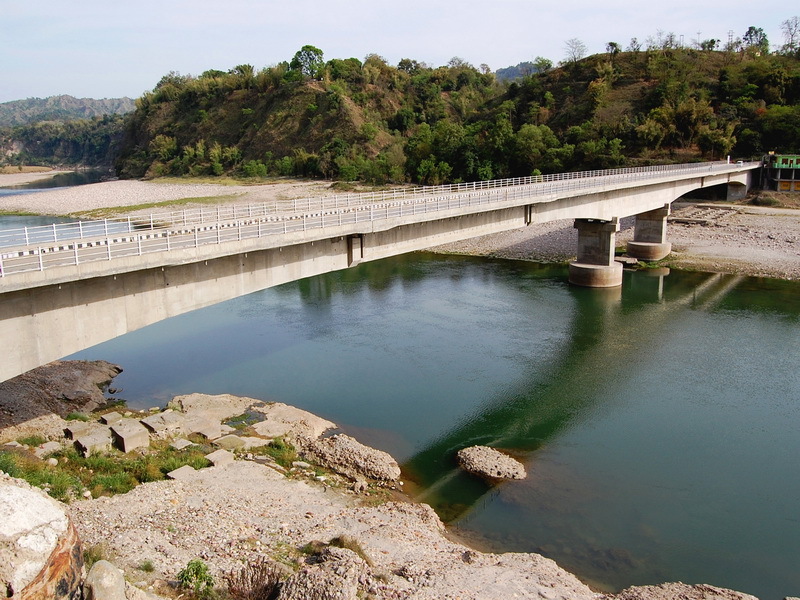 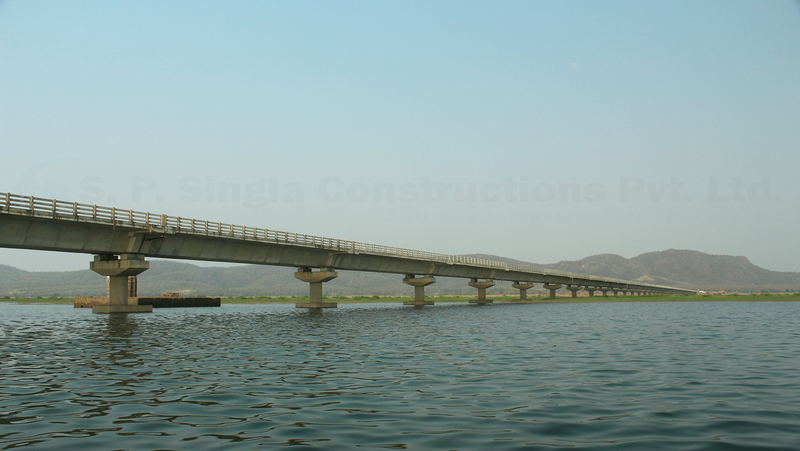 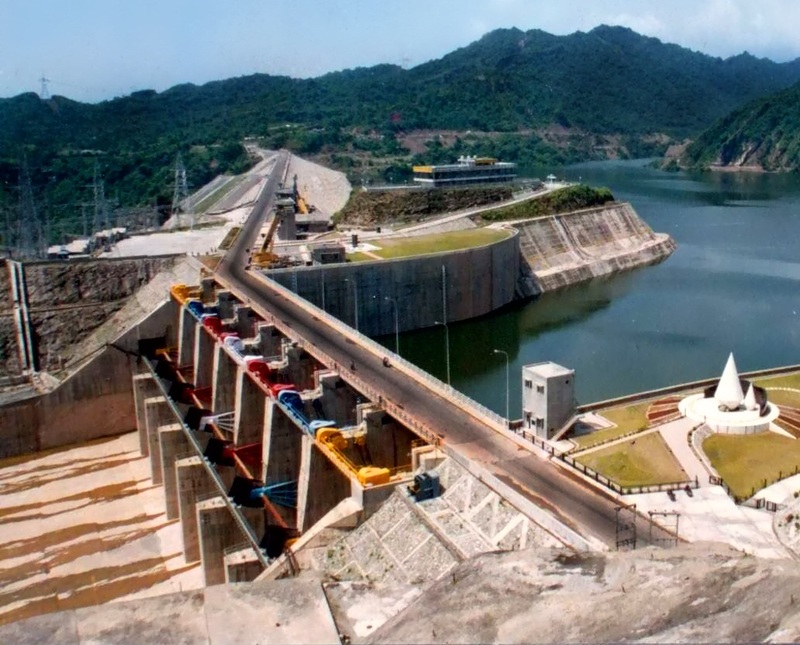 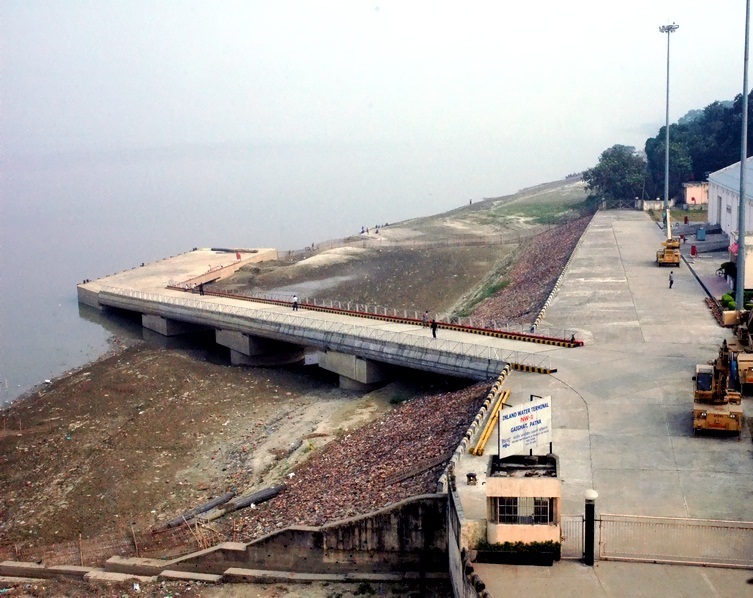 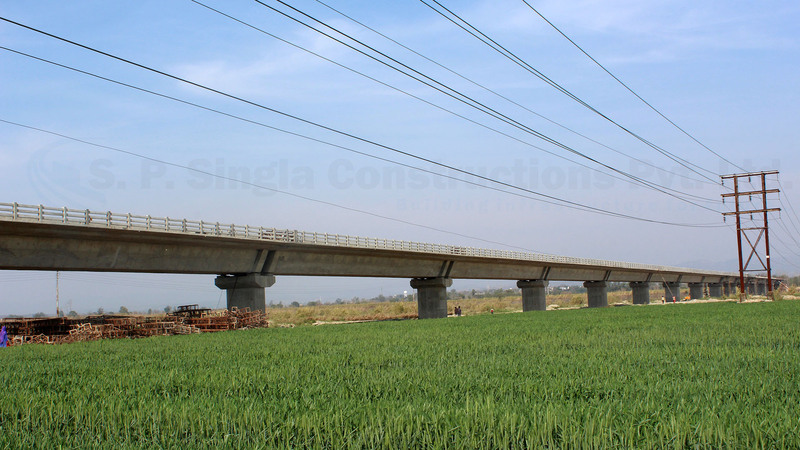 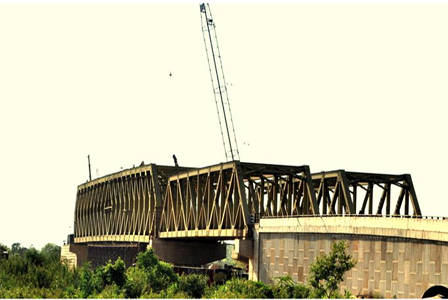 A PSC Spillway Bridge for Ranjit Sagar Dam in Punjab.